I will go on with the presentation of the Ozotic Mish Mash collection which consists of 4 holographic multichrome polishes. I already showed you Ozotic 531. You can view it here. #531 shifts from rusty copper to purple and at certain angles, you can also see some green and gold. Today I will show you #532! 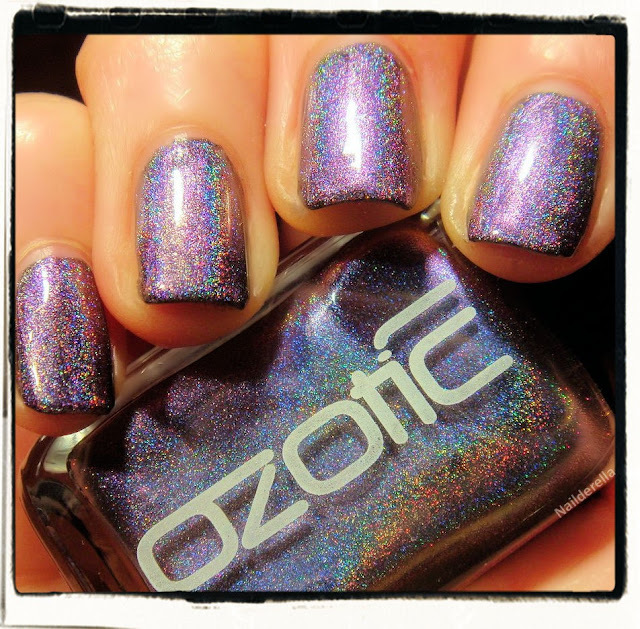 on my pinky and ring finger, I wore: 2 coats of Ozotic 532 over 1 coat of Color Club Revvolution. on my index and middle finger: the combo I presented you here: 1 coat of Color Club Revvolution + 2 coats of Ozotic 505 + 1 thin coat of Glitter Gal Silver 3D/Holo (707H). They are pretty similar, aren't they? So I think both options have their own pros and cons. 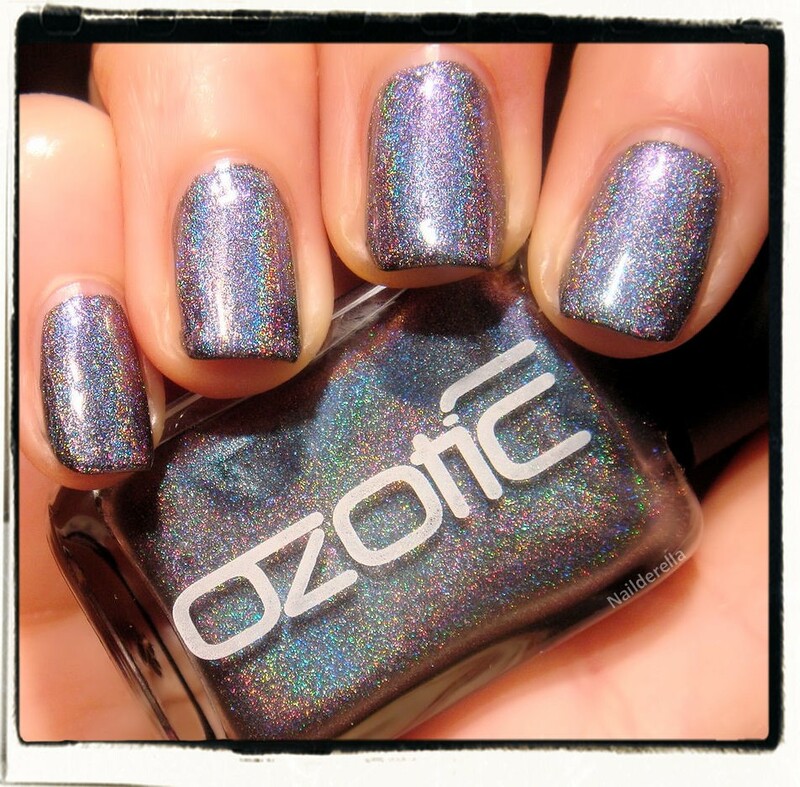 With Ozotic 532, you will only need one polish (and the base color) to achieve a multichrome and holographic look. With my combo (Ozotic 505 + Glitter Gal Silver 3D/Holo), you need 2 polishes to achieve this look. 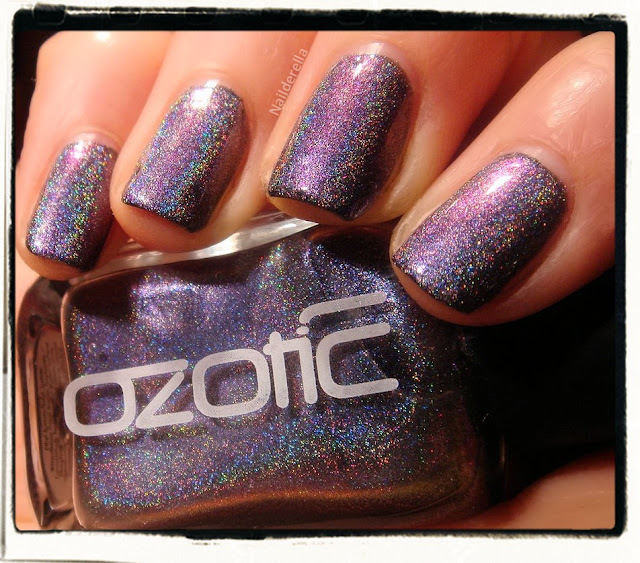 One for the multichrome effect (Ozotic 505) and one for the holographic touch (Glitter Gal Silver 3D/Holo). However, this second option gives you more freedom as you can try different styles. You can either use the polishes separately or use them together or with other polishes to create an endless number of different manis! Ozotic 532 was really easy to apply. I used 2 coats over black. Because it's sheer, it's better to layer it over a base color. 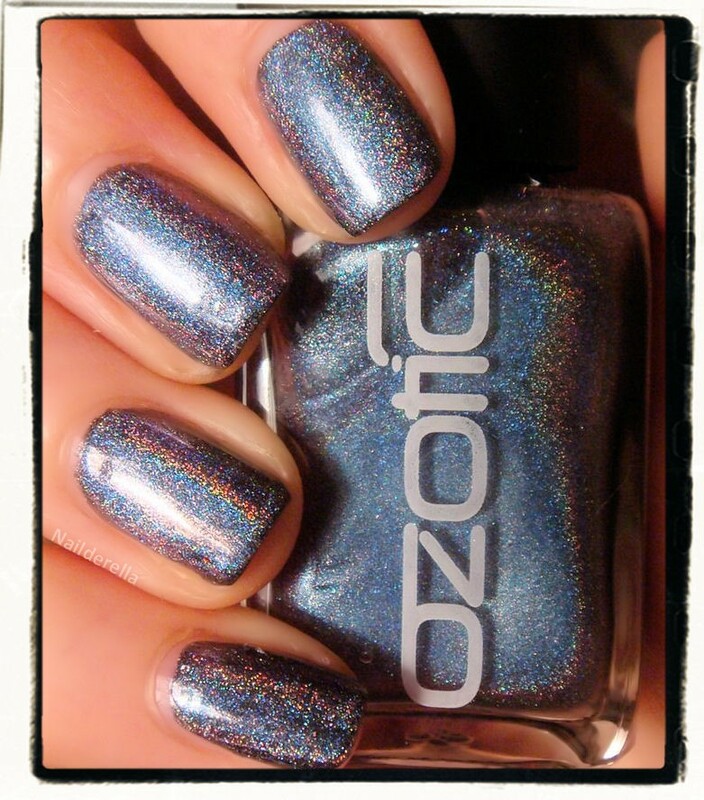 Its weartime was really impressive for a holographic polish. I wore it for 5 days without any chips! With my combo Ozotic/Glitter Gal, as I used more layers, I had minor chips earlier but they were really minor (you can add some polish on the tip where the chip is and it's done). Again, as the polishes are sheer, you don't have to be afraid to layer them as they are thin...so you don't get a thick feeling on the nails. 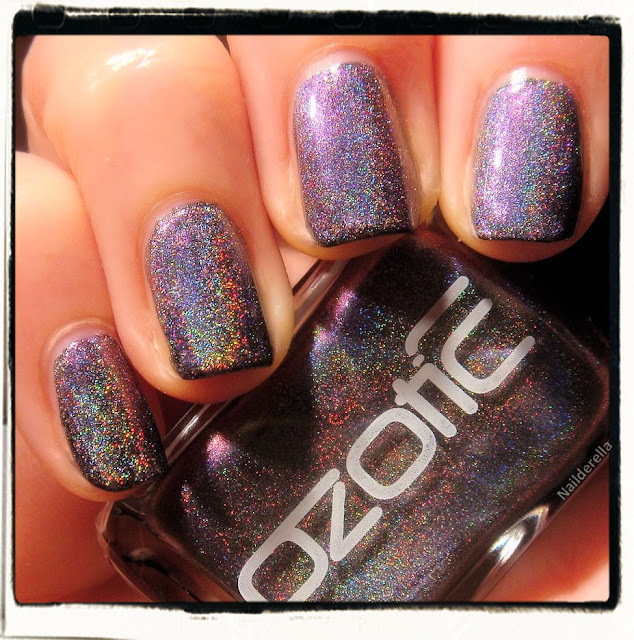 I am really pleased with Ozotic 532. It's multichrome with its shift from blue/silvery blue to purple and holographic at the same time. Isn't that gorgeous? Moreover, the holo is quite strong and you can cleary see it even if you're not in a sunny place. I had a lot compliment with this polish because it's so intriguing. It keeps changing colors and you also have this amazing rainbow of colors due to the holo effect. 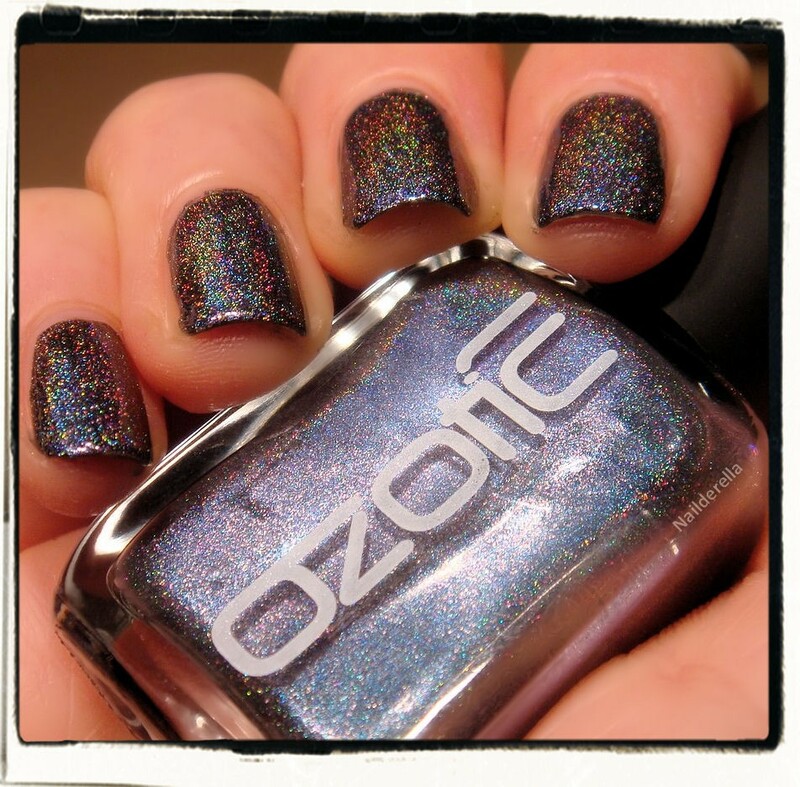 This makes this polish looks really mysterious and beautiful!